Though service of process through Facebook has not become a daily occurrence, many judges have approved the measure for spouses who cannot locate their soon to be exes through other means. However, one Brooklyn judge recently ruled in the opposite manner in the case of Manal H. Qaza. According to Qaza, her husband Abdulla Ashalabi walked out of her life just three months after they married in June 2011, when Qaza was six months pregnant. She assumed he was deported and living in Saudi Arabia, and according to Qaza and her attorney, utilized every method possible to locate him, including talking to family members and friends and searching all public records. Qaza requested service of process using Facebook for her divorce from Ashalabi because she couldn’t afford to pay $3,000 to notify her spouse of pending divorce by placing an ad in a Saudi Arabian newspaper, as would be required. During her court case, Qaza insisted that she “had been in communication with Ashalabi through Facebook.” However, Qaza’s judge did not feel her case warranted service through Facebook. Brooklyn Supreme Court Justice Jeffrey Sunshine explained his ruling by saying that Qaza “has failed to sufficiently authenticate the Facebook profile as being that of the defendant and has not shown that, assuming arguendo that it is the defendant’s Facebook profile, that defendant uses this Facebook page for communicating.” According to Judge Sunshine, Ashalabi has not used his Facebook page since April 2014, and Qaza never submitted copies of the Facebook messages that she claimed to have had with Ashalabi. “Granting this application for service by Facebook under the facts presented by the plaintiff would be akin to the court permitting service by ‘nail and mail’ to a building that no longer exists,” Sunshine stated. 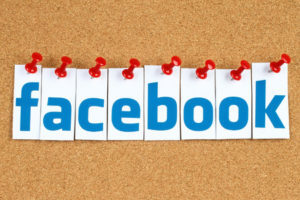 In his view, the divorce had too much at stake, including child support, property rights, and custody, to be granted using Facebook for service of process.